Ahhh... I've been on a stricter diet the past few months, but I still make sure to indulge from time to time. And one of the things I like to enjoy on my cheat days would no doubt be carbs! From rice and pasta, to pastries and breads, carbohydrates don't only make me feel full, but also leave me feeling happy after indulging in a few. Lately though, I've been rediscovering my love for sandwiches. Whenever I eat out and see sandwiches on the menu, whether it be a sub, a club, or an Italian deli sandwich, I just can't seem to shy away from ordering. But of course, it won't be practical to always run to the nearest sub or deli place to get my fill. So whenever I want to have a sandwich and quick, it's still better to make one on my own. 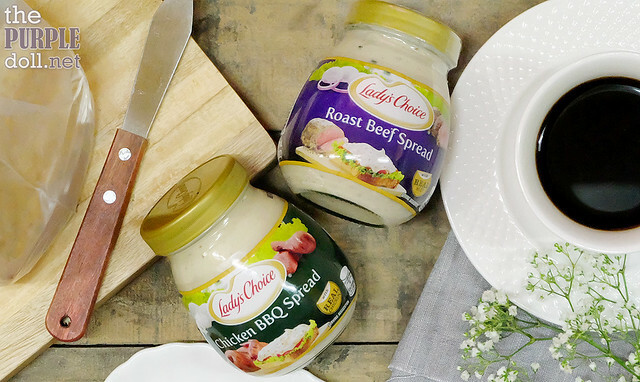 Good thing, Lady's Choice now offers two more variants -- the Roast Beef Spread and the Chicken BBQ Spread! 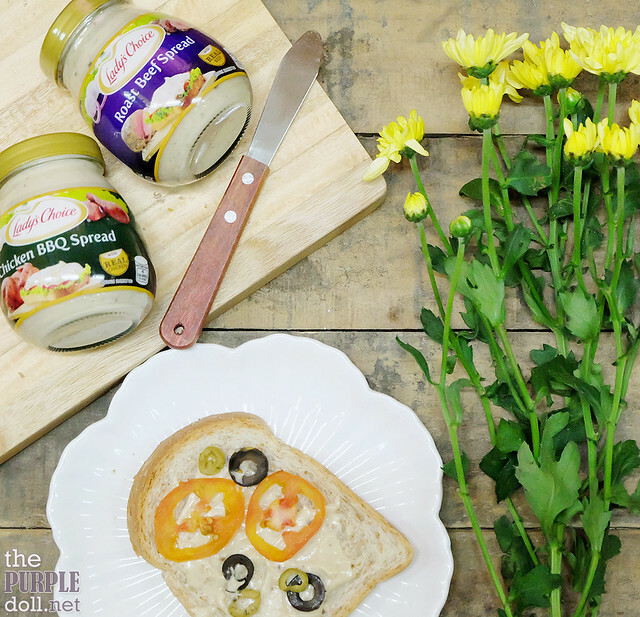 I have a long history with Lady's Choice Spreads, and some of you might actually be able to relate... Back in elementary school, if my lunch box isn't filled with either a pack of mamon or biscuits, then it's a sandwich with Lady's Choice's Bacon or Tuna Spread! It's such a nostalgic feeling... But fast forward to decades after, here I am making my own sandwiches. The way I like it. Anyhow, as much as I love chicken barbecue, I actually haven't tried the Chicken BBQ Spread yet. You see, I like finishing a whole jar of spread first before moving on to the next one. Haha! And since I was feeling the Roast Beef Spread more when I was making my sandwich, I think I'll have to enjoy it for quite a while first. I have no regrets though! It fits perfectly with my preferred whole wheat breads. And to enjoy the roast beef flavor more, I like adding in some tomato slices, along with olives. Yum! Although I'll still have a few weeks to finish my jar of Roast Beef Spread, I'm also pretty excited to finally open and try the Chicken BBQ Spread. 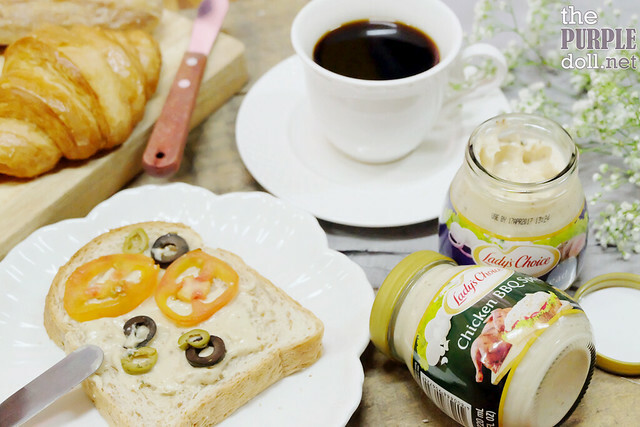 I can already think of a few ways to enjoy it, fit for both breakfast and merienda. Even as an actual meal, actually.